You know this athlete because he attends classes all throughout the day, usually in a white shirt and a big smile. He's a huge cheerleader for UnCharted, brings Buddies to our classes and has signed up new members - because he likes us! And he's a big cheerleader for all our members, encouraging and joking to make the class a fun place to be. We're excited he's our Athlete Spotlight for April. It’s funny how I found out I was nominated Spotlight Athlete of the month. I had just completed the workout when Patti came up to me and congratulated me. My responds to her was “for what”? I was completely shocked when she told me of the nomination. I guess this the part where I talk about myself. I got into working out for a few reasons: I was overweight and not happy at with myself at all. I was drinking too much and my eating habits were not the best. I had never been to a gym so I had no idea what to do. I asked a friend if he knew of a good gym I could go to. He took me to a fitness gym he was a member of in St Charles which I attended for about 2 years. I got really into the workout programs was attending 5 times a week and started doing Paleo diet for about a year. I started seeing results. Unfortunately, the hours at that gym changed and I could no longer attend the workouts since they conflicted with my work schedule. My buddy Kyle told me to check out CrossFit. I joined CrossFit in 2016 and I knew I had made the right choice by switching gyms. I continued to improve in my workouts but I wanted to lose more weight and work on my cardio. I decided I was also going to do a 5K so I would have the motivation to start running. I got a few of my friends to join me on my first 5kK. I decided to do a few more races. I was really enjoying running and doing CrossFit. In 2017, my friend came up to me ask me to do the Mo CowBell or Rock and Roll half Marathon. I had only done about four 5K runs. My reply to her was, "let’s do both." I can honestly say it was the worst idea ever, (ha ha ha) but it was too late to back out; we were all signed up. I was training for the marathons about 3 times a week and doing CrossFit 5 times a week. I was really enjoying doing both. I joined UnCharted in 2018 and it was the best decision ever! 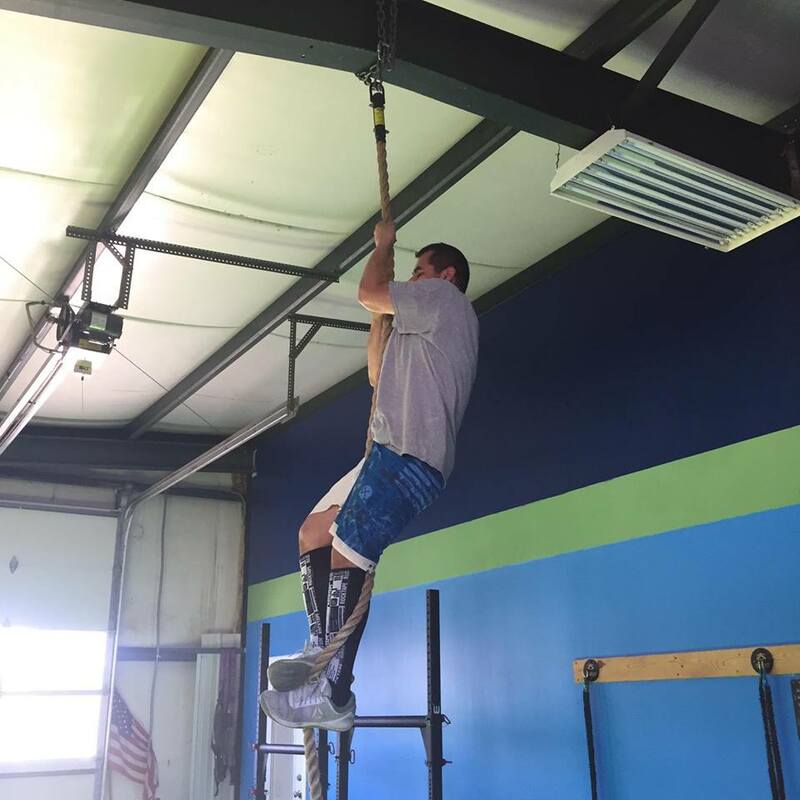 Within months of joining UnCharted, I was able to finally progress on some things like pull ups, rope climbs and hand stands, just to name a few. My passion for CrossFit, working out and being healthy has really grown. I can tell you I’m definitely a lot happier with myself just seeing the improvements I’ve made. I still have a few goals to reach and I am hoping that by the end of the year I complete them. I really love our gym here at UnCharted; it"s such a great community, I’ve made some good friends here and I brag about our gym to everyone I know all the time. Again, thank you for this nomination.